A refurbished modern two bedroom, second floor split level apartment which boasts a large reception room with feature fireplace, separate eat-in kitchen with appliances, master bedroom with spacious en-suite bathroom, second double bedroom and shower room. Neutrally presented property has wonderful views at the rear and plenty of natural light throughout. 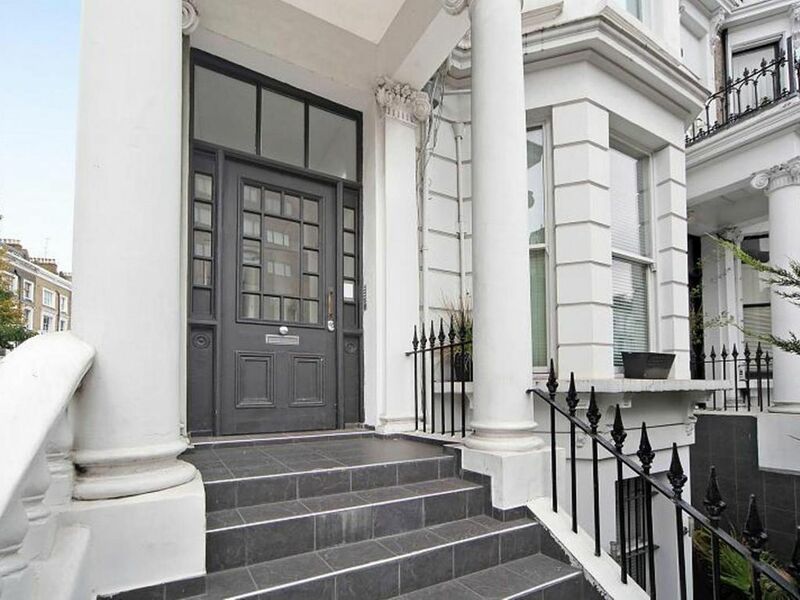 Close to the independent shops on Stratford Road as well as the wider range found on Earls Court Road and Kensington High Street. Holland Park is at just the end of the road. We are an accommodations team that prides itself on our luxury accommodations, having several to host guests of the historic mansion - Addington Palace. Earls Court is our London Pride and Joy which we often reserve for ourselves in the heart of the beautiful and historically opulent Kensington Area. Hopefully, you'll love our Kensington Suite in Earls Court as much as we do. There's simply so much to do and see in London so the flat is ideally located for the various amenities and facilities found on Earls Court Road, while a wider range of trendy shops and restaurants can be found on nearby Kensington High Street. The nearest underground station is Earls Court Underground. Stocked with all the essentials and includes a kettle. There is a dining table in the kitchen which seats 4. Earl's Court is within walking distance of High Street Kensington, Holland Park, Kensington Gardens/Hyde Park, the Royal Albert Hall, Imperial College, the Natural History, Science and Victoria and Albert Museums. The former Earl's Court Exhibition Centre opened in 1937, with its striking Art Deco façade facing Warwick Road part of which was opened by Princess Diana, herself a former Earl's Court resident. There are many examples of traditional craftsmanship and the creative industries in the Earl's Court area, such as the Earl's Court Glass-Blowing, a world-famous mannequin factory.